Thank you for visiting our homepage. It is our intent to provide useful information to you as a customer through this portal. Here you find a first overview of our product portfolio and services. However, this is complex and often bespoke matter. Any website cannot replace the value of individual consulting. Please feel free to contact us any time by phone or email. Martin Oertel picovac stands for customer support by long-standing experience and expertise. This is our dedication. Looking back on more than two decades of professional work within the international scientific market, Martin Oertel picovac puts the requirements and expectations of the customer at the centre of focus. We provide all services, expert advice and consultancy, to turn our knowledge and experience into valuable support for our customers. To supply the best solutions to our customers, close co-operation and the ability to exactly understand their demands is vitally important. We’re keen to meet you. The aspiring enterprise is located in the state of Hessen conveniently close to Wiesbaden and Frankfurt (Germany). 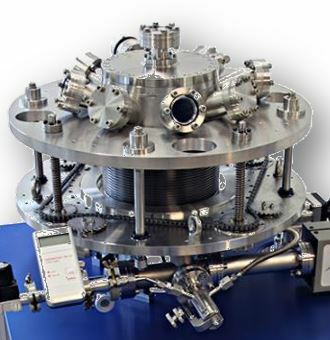 The engagement spans around the supply of top-quality components for vacuum applications, thin-film deposition tools up to high-end scientific instrumentation in the field of microscopy. Martin Oertel picovac represents outstanding equipment manufacturers from the United Kingdom, The Netherlands and Far East and supports the market activities in Germany, Austria and Switzerland. We provide competitive products and services engineered and developed in close co-operation with our customers and manufacturers. Our target is to follow the requests of potential customers and to exactly meet their requirements.